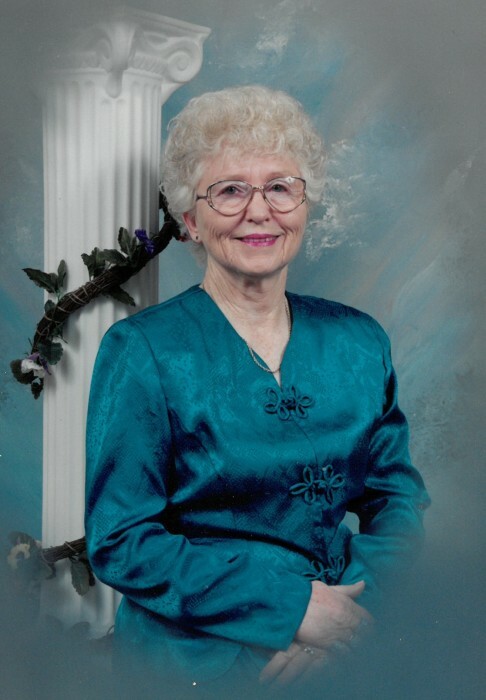 Jessie Mae Daniels of Pascagoula, MS passed away March 23, 2019 at home in Pascagoula.Jessie was the fourth of eight children and was born Jessie Mae Weaver May 25, 1929 in Tupelo, MS. Much of the first ten years of her life were spent traveling in the southeast as her father diligently searched for work during the Great Depression to feed his children. Poor at the time, they lived in a handmade pickup camper which they parked at night wherever they could. That hard and rough early life would actually serve them well in helping them later appreciate simple things that many people take for granted. After settling in Jones County MS she met and married James R. Daniels soon after he returned from serving as a Radio Technician aboard the USS Pollack and other submarines in World War II. They remained in Laurel MS until 1953 when Rodney gained employment at Ingalls Shipbuilding in Pascagoula where he retired 36 years later. Jessie spent most of her years as a mother and housewife pouring herself into her family. She did however open an in home nursery after her own children were raised, and she poured out that same love and care to the children of others. Jessie and Rodney both spent many active years as members of Bethel Assembly of God where they both grew in the Lord and then nurtured and cared for other Christians in their growth in the Lord. For several years they worked as a pair visiting and praying for many in the Hospital or at home. She is preceded in death by her loving husband James R. Daniels; her parents Earl and Bessie; four brothers Glen, Paul, Billy and Bobby; one sister Mary; and one great granddaughter Katelyn Daniels. She is survived and will be greatly missed by one sister Margie Upton; one brother Jackie Weaver; three children Jimmy (Norma), Deborah, and Paul (Beth); five grandchildren Vernon, Wayne, Shane, Tina, and Allison; great grandchildren Kayla, Brittney, Stephanie, Justice, Cade, Cole, Blake, and Isabella; and numerous nieces and nephews.